These wearable erasers are great for schools, libraries, summer camps, or any fun promotion involving kids. Both the band and clasp are actual erasers whose colors can be mixed and matched. The 7 1/2″ band fits most wrists, but can be cut to make shorter if neccessary. 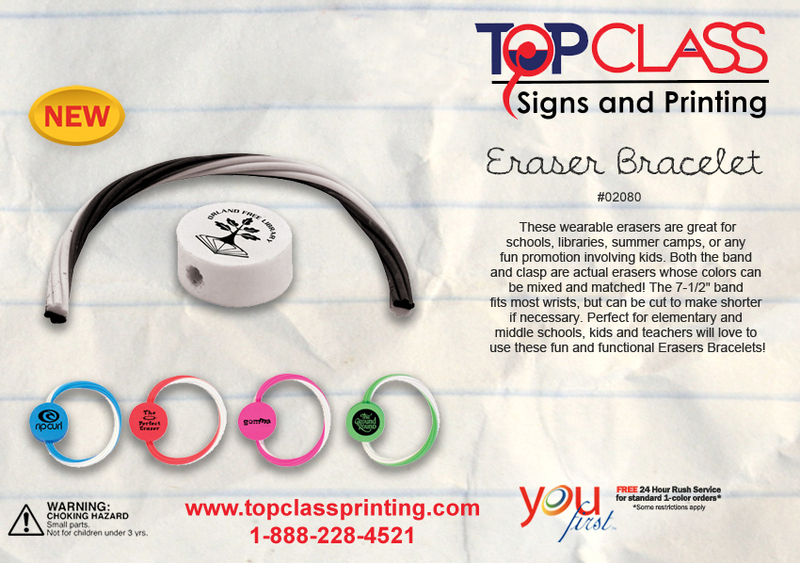 Perfect for elementary and middle schools, kids and teachers will love to use these fun and functional Eraser Bracelets! Hurricane Cups are great for summer branding giveaways! 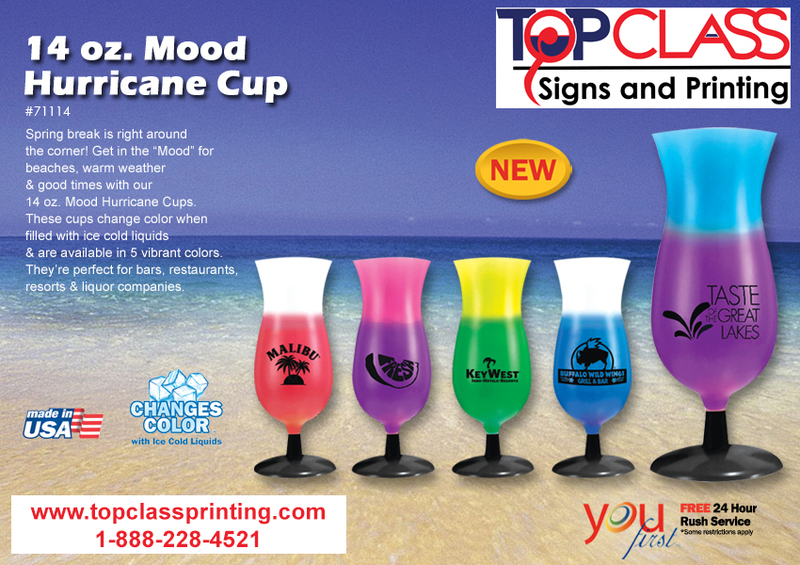 The 14oz Mood Hurricane cup changes colors when filled with ice cold liquids. This cup is fun and makes for a great giveaway to keep your branding fresh in the summer! It comes in 5 colors and is imprinted with your company’s logo. Ellen DeGeneres knows the power of promotional products. The reigning queen of afternoon talk shows is known for gifting her celebrity guests with wacky, memorable, specially designed promotional items, such as a baby carrier bearing huge angel wings for Victoria’s Secret Model Miranda Kerr, complete with makeup and hair accessories. But one of Ellen’s most popular giveaways is her branded male underwear, which she presents to male celebrity guests, sometimes on air, but more often in a gift bag for appearing on the show. A number of recipients, including country singer Tim McGraw and R&B singer/songwriter Jason Derulo have been caught wearing the skivvies in candid photos, the Ellen waistband visible above their low-slung jeans. She’s so well-known for the underwear giveaways that OneRepublic lead singer Ryan Tedder turned the tables on Ellen and gifted her on the show with a pair of undies bearing his band’s name on the waistband. For example, Portland State University (PSU) wanted to build branding around a program, “Portland State of Mind” that celebrated events around the Portland community and on campus. So they contacted their promotional products partner who provided the school with T-shirts. The tees had a Portlandia style and feel, and were designed by PSU student artists, which included images of a campus food cart and the “Victor Viking” school mascot. The tees were sold online and on campus, and were advertised in the school’s alumni newsletter, that goes out to some 100,000 people. The success of the first year’s program led to a new program called “Fearless” in which PSU students are encouraged to be fearless in their choice of academic pursuit and lifestyle. The new Fearless e-store gives the students the ability to customize their apparel to proclaim their choice. They could be a “Fearless Architect,” or a “Fearless Teacher” or “Fearless Fireman.” The Fearless program is supported online by YouTube videos produced by students that explain the programs and how to order the merchandise. Both programs have been very popular in terms of orders and visibility on campus. 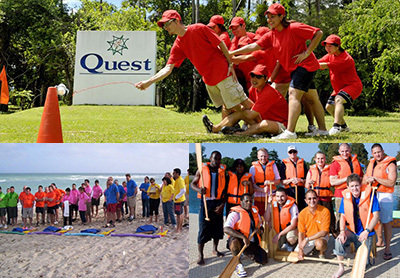 Contact Top Class Signs and Printing to create a promotion for your company. 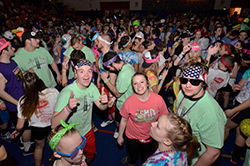 When the students at South Glens Falls High School reach their 28th straight hour of dancing for charity, one could imagine their energy drained and exhaustion setting in. In fact, it’s quite the opposite. The South High Marathon Dance builds to a crescendo of anticipation in its final hour. Announcements are made for how much money was raised, who raised the most and who won the event’s multiple raffles. The 800 students who danced all day and night create one final flourish with the Strut Your Stuff performance as their families cheer them on in the school’s packed gym. For 38 years, the marathon dance has helped those in need, from paying for medical expenses to sending terminally-ill patients on dream vacations. On March 6-7 the students and supporting community raised $621,680, bringing their grand total to more than $4.82 million. It helps people like Nolan Jacox, a five-year-old with an autoimmune disease that causes him to produce too many white blood cells. As a result, he is allergic to most foods and must eat through a feeding tube. The school works with a screen printer/embroiderer that prints multiple garments for the recipients, families, production crew, alumni, students and more, as well as a fundraiser design that, last year, rose over $7,000 through sales of hoodies and short- and long-sleeve tees. The back of the shirts feature the name of every person that benefited from the money raised through the dance. “The dance and these shirts have helped with the lives of so many people,” says Rob Chadwick, a father of two South High students. Over 90% of the student population participates in the dance. A student committee chooses the causes to support and determines the costumes that will be worn at the dance. “The kids prepare for the dance throughout the year,” says Chadwick, who also works security for the dance. “They even practice special dances in their gym classes.” In this case, the power of dance is more than just a phrase.